What are the criteria for the inclusion of fish species in the database? How do you treat hybrids and subspecies? Hybrids are not registered, and the records in individual subspecies are combined (with the exception of Salmo trutta). Data about record weight, length and age are collected. Is this the same specimen? In most cases the heaviest, longest and oldest specimen were different fishes. What does the category "rod & reel" mean? These are sports catches by rod & reel. There are no further constraints with regard to the fishing gear. For 40% of the species, no catch with rod & reel has been documented to date. What does the category "other methods" mean? Records established by other catching methods, such as net, hand line, spear, bow fishing etc. These records, like specimens found dead, are only listed if they exceed the rod & reel records. What does the category "questionable" mean? These are records that are based on anecdotal reports or were only reported insufficiently. The specifications cannot be verified. These records are only mentioned if they break the verified record. What does the category "rod & reel?" mean? In these cases it is unclear if the fish was caught by rod & reel. The record weight or length, however, is verified. What are the length specifications? Length records are always total length (TL) records, never standard length (SL) or fork length (FL) measurements. If only the standard length is known, we have added "over". In the case of Skates/Rays it is the width of the disc (WD). What do the specifications + (over) and ~ (approximately) mean? 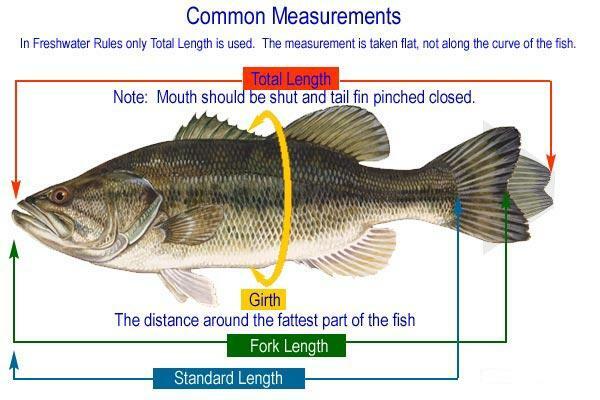 This means that the weight was estimated according to the length/girth. Or the length was estimated on the basis of the weight. When is a catch listed as ex aequo in rank? Catches marked as = (tie) show a deviation of 1% or less. Are only reported catches acknowledged? No, contrary to the IGFA, we proactively register all records published worldwide. 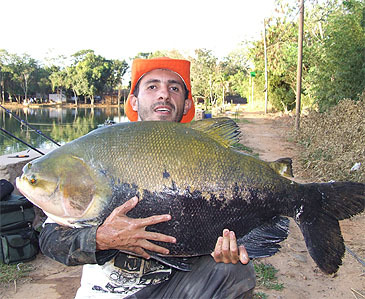 For this reason, our database currently covers 507 species over 5 kg maximum weight, while the IGFA currently lists just over 150 freshwater fish specimens over 5 kg in the category "all tackle record". Do I have to be a member for my record to be acknowledged, or pay a fee? No, contrary to the IGFA, no costs are incurred. How can I report a catch? We require all catch data as well as one or more good photographs of the catch for verification. Please go to Catch form. Which criteria make a "good" photograph? Is a verification of the size specifications even possible by photograph? No, a 100% verification is not possible, since the proportions depend on the distance of the camera. Why is the exact year of the catch sometimes unknown? In the case of historic catches, the measurements have been passed down, but the exact date of the catch was lost over time. Examples: "caught in the 19th century" means "18??" in the database, "caught in the 1980s" means "198?" in the database. Why does the database state e.g. "Amazon River" and "Amazon River System"? Amazon River means that the record was established in the main river. Amazon River System means that the record was established in the main river or in a tributary. The exact place of the catch, however, was not documented. Why do some records state several bodies of water and/or countries? The exact place of the catch was not documented, but was limited due to the natural habitat of the species. The questions & answers of our advertising partners will be gradually incorporated. When will my business entry be online? Your business entry will be activated after your online payment within 12 hours. Where will my business entry be displayed? As a search result (water, country or continent) in the "WHERE TO FISH" section, as you defined it in your register form. Additionally every destination in the record database is linked to your business entry! Your invoice will be dispatched after your online payment within one week. World Records Freshwater Fishing by Heinz Machacek is licensed under a Creative Common Attribution-NonCommercial-NoDerivs 3.0 Unported License.